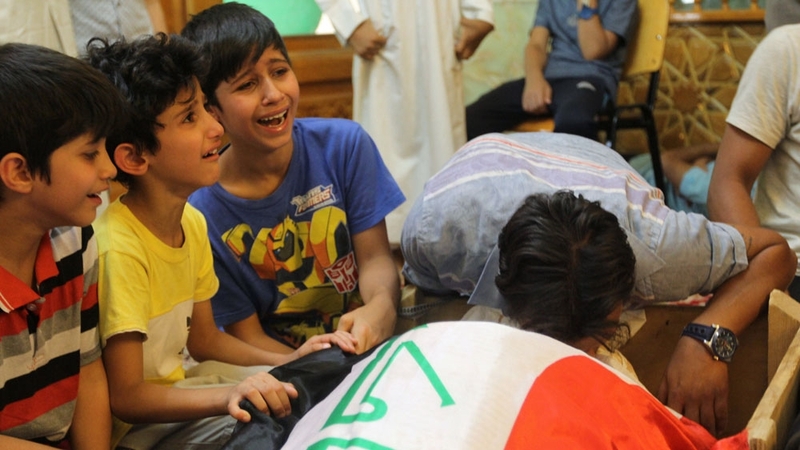 Anger grows as Baghdad residents accuse Iraqi government of failing to protect them after ISIL attack kills over 200. The powerful explosion early on Sunday came near the end of the Islamic holy month of Ramadan, when the streets were filled with young people and families out after sunset. 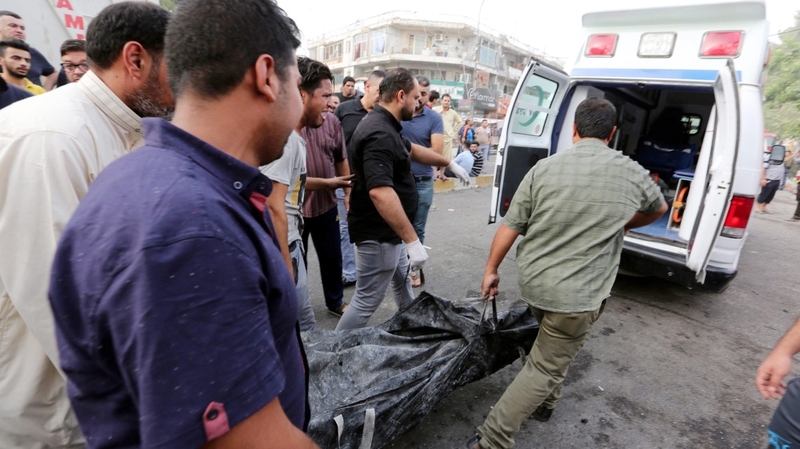 The death toll from the blast in Karada, a predominantly Shia neighbourhood in central Baghdad, rose to over 200 on Monday morning, as the bodies of more victims were pulled from the rubble. Karada is in the middle of Baghdad. It is a district people go to – and this would have been where people would gather towards the end of Ramadan, after fasting. People would have also been in the cafes watching the Euro 2016 quarter finals. This was a deliberate attack. We’ve seen ISIL do this time and time again. A few months ago, I spoke to members of the Karada business community who were setting up a neighbourhood watch because they were so angry with the government for not being able to provide security. But even they said they couldn’t monitor everything, all the time, as it was such a busy shopping district. Although the Fallujah battle may be over, it shows that if you squeeze ISIL in one area, they pop up in another. This isn’t a problem that goes away by taking territory from ISIL. You need police work, intelligence gathering – it’s not just a military operation. There will always be ISIL sympathisers in Baghdad who will try to mount attacks like these ones. Anger is coming through in Karada because the prime minister and MPs are in the Green Zone, they’re fortified. Everyone else feels like they are under attack. Although this attack was big – it was not unusual. The Islamic State of Iraq and the Levant (ISIL, also known as ISIS) group claimed responsibility for the attack in a statement circulated by its supporters online. Many of the victims were women and children who were inside a multi-storey shopping and amusement mall. Dozens burned to death or suffocated, a police officer said. “We can’t enjoy the Eid; if it isn’t ISIL, it’s al-Qaeda, and if it isn’t the two, it’s the filthy corrupt politics in this country. Jan Kubis, the UN envoy for Iraq, said the attack was an attempt by ISIL to avenge losses on the battlefield. “This is a cowardly and heinous act of unparalleled proportions, to target peaceful civilians in the closing days of the holy month of Ramadan,” Kubis said in a statement. 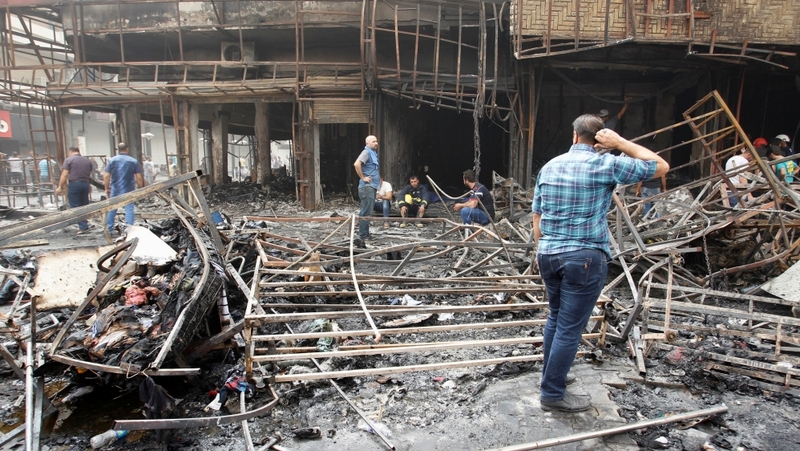 In a separate blast also on Sunday morning, at least five people were killed in a popular market in the mainly Shia neighbourhood of al-Shaab. There were conflicting reports on the cause of the explosion. Some sources said it was a bombing, while the interior ministry said it was caused by an accidental fire. The Karada bombing was the deadliest in the country this year and came after Iraqi forces late last month dislodged ISIL fighters from Fallujah, the armed group’s stronghold just west of the capital that had served as a launch pad for such attacks. Despite a string of territorial gains by Iraq’s ground forces against ISIL, the group has repeatedly shown it remains capable of launching attacks in Iraqi territory far from the frontlines. ISIL still controls Iraq’s second largest city of Mosul. Iraqi politician Mowaffak Baqer al-Rubaie said ISIL was “resorting to classic, traditional terrorist acts” in response to losing territory in Iraq. “They are so desperate to boost the morale of their fighters, many of whom are leaving the group daily. I think attacks like this will increase,” he told Al Jazeera. Rubaie added, however, that ISIL would eventually fail in its mission of deepening sectarian tensions between Shia and Sunni communities.